Wild-style pumping bass spheres, skreaming synth coils, complex & layered pad structures, break-out beats (with “no-kick” and “top-only” versions included), glitched-out noisy racket, a hidden-treasure-chest of drum hits (including KEY LABELED KICK DRUMS), deep reverb’d boom hits (KEY LABELED), skillfully-sculpted & tempo-synced drum stutter FX-shots, explosive bass hits and MORE! These samples will take your Dubstep tracks to the next level! 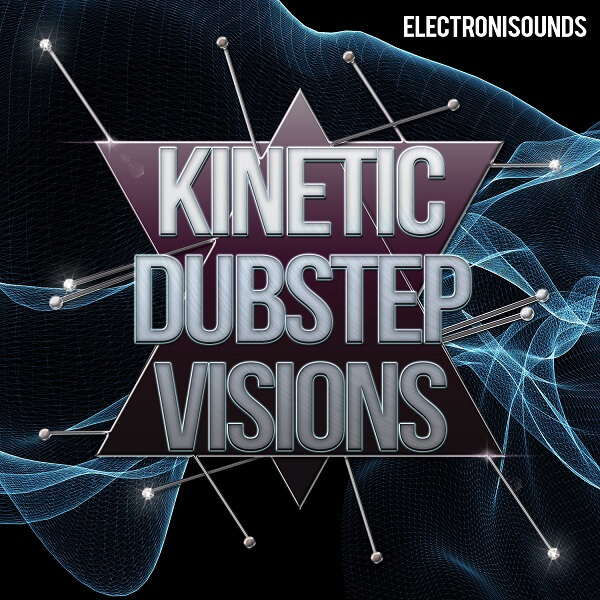 Making a new Dubstep mix from the ground up is easy with “Kinetic Dubstep Visions”! Start with a drumloop or program your drums from the scratch with our new drum hits, then grab some synth & chord loops for your intro and breakdowns, and get ready for the epic drop with the deep selection of hand-crafted, wicked, speaker-shaking bass loops! There are NO construction kits on “”Kinetic Dubstep Visions”” — This sample library is for DJ’s and producers who want to make their own UNIQUE Dubstep tracks! We’ve included a nice selection of One-Shots for you to program your own beats and bass from scratch! Everything you need to produce complete tracks from the ground up or embellish your existing bass music productions. “Kinetic Dubstep Visions” is 100% royalty free, meaning you can add all of these elements to your tracks without worrying about any sample clearance hassle! This library is a perfect companion to our other Dubstep sample collections: Glitch Step Tek & Dubstep Mantis! WAV MIDI — Compatible with ANY and EVERY DAW! Audio demo contains contributions from Junebug & satYatunes.